● A discussion about your lifestyle and what you would like contact lenses to do for you. ● A comprehensive eye examination to determine the condition and health of your eyes, assess your vision, and determine the optimal corrective lenses. ● Selecting the most appropriate contact lenses for your needs, eyesight, corneal shape and eye condition and ensuring these give great vision and comfort. ● A teaching session showing you how to use and look after your contact lenses. ● A review with your lenses in-situ 10-14 days later to ensure that you are seeing well, the lenses are comfortable, and that your eyes show no underlying problems. ● A comprehensive review with your contact lenses at least every 12 months, which is important to ensure your eyes stay healthy and your vision is always optimal. Our responsibility is to look after the health and wellbeing of your eyes and eyesight. In the unlikely event that problems arise from any contact lenses we have supplied, we take responsibility for solving those problems – there can be no buck-passing when we both prescribe and supply the contact lenses. 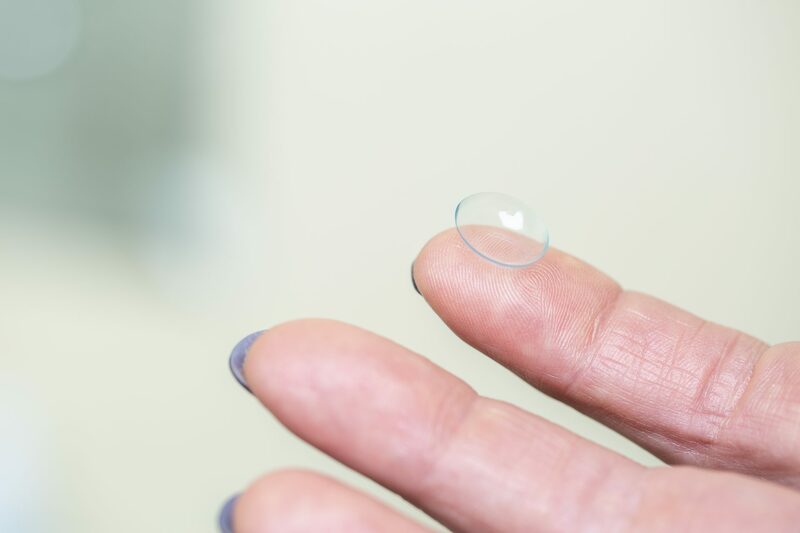 When worn with the correct guidance and management, you can have a great lifelong relationship with contact lenses that can be comfortable, healthy and safe.